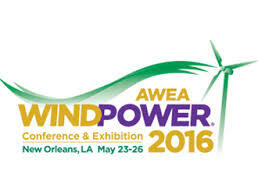 Slingsintt will be present at the great conference of the wind energy that will be held in New Orleans (Louisiana, USA) the next 23-26 of May. This event will be a meeting point for leading manufacturers, suppliers and wholesalers of the wind energy business, and it becomes an interesting opportunity to promote our activity in the United States. Slingsintt will present its last designs and developmets in the lifting and transport area, all of them focused on safety and cost reduction. If you are interested on our products don´t hesitate on keep in contact with us.